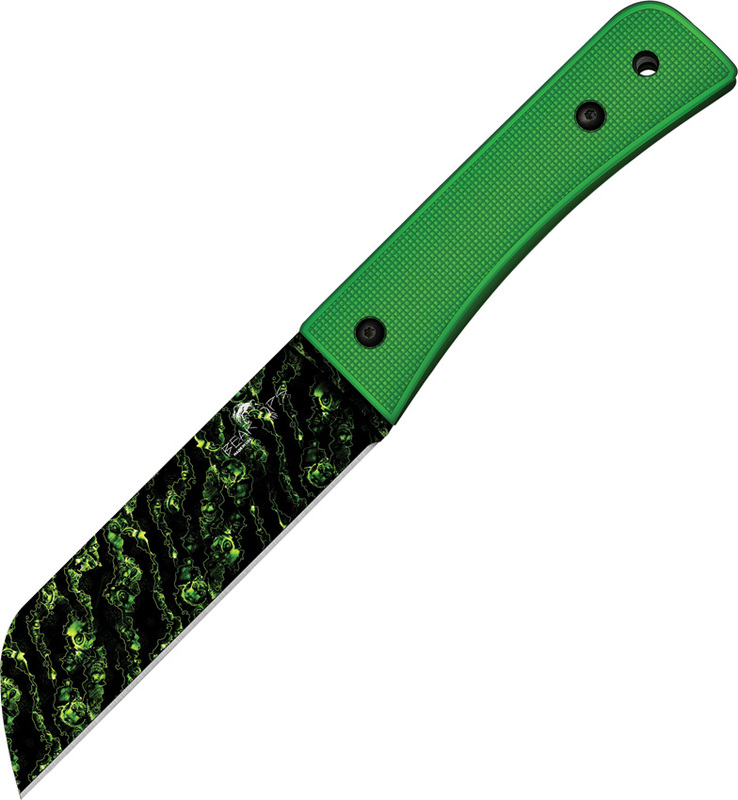 Bear Ops BC37005 Undead Series Bear Tac II Knife, Undead Series Bear - 10 3/4" overall. 5 1/2" Reaper Z 1095 carbon steel blade. Full tang. Neon green G-10 handles. Nylon sheath.